Dubai: Two expatriates in the UAE will be kick starting the year with a bang after hitting a multi-million-dirham jackpot in Dubai. 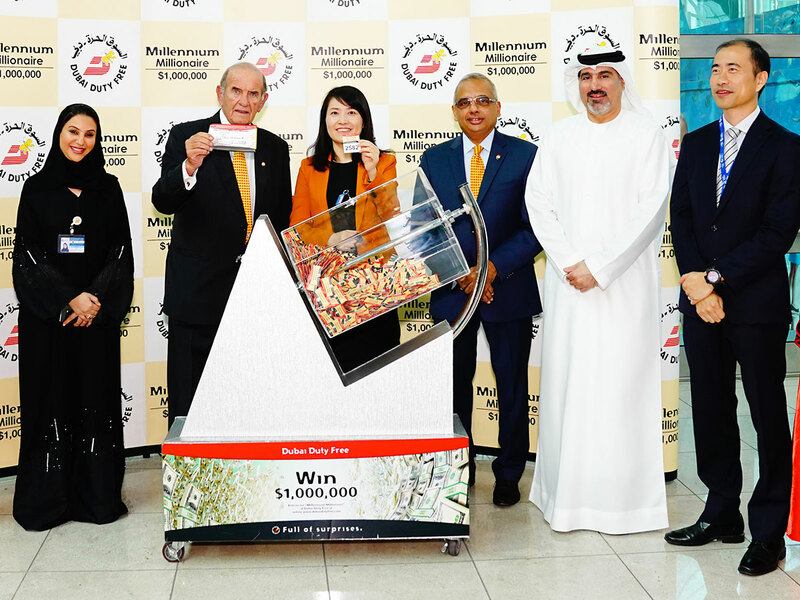 Dubai Duty Free announced on Tuesday that Neil H. from the United Kingdom and Abhishek Kathel from India have each won $1 million in the latest Millennium Millionaire draw. Neil, who has been living in Dubai for 12 years, said the jackpot came as a surprise. “Huge thanks to UAE and Dubai Duty Free for kick starting my 2019,” the employee of an international oil and gas company said after he was contacted by the organisers. The second dollar millionaire is Abhishek Kathel who is based in Sharjah and works as a cabin crew for an airline. Kathel bought a ticket from Dubai Duty Free for the first time recently from a craft shop in The Irish Village. “Thank God for this wonderful news! I cannot believe that I won this big with my first ever ticket for the Dubai Duty Free Millennium Millionaire. Thank you so much Dubai Duty Free!” he exclaimed.